Well with only two weeks to go it is getting pretty exciting. On Friday last week we heard from Cunard that we have been upgraded and now have a cabin with a balcony! This will make the trip even more special. On Saturday our Audley paperwork arrived by special courier. 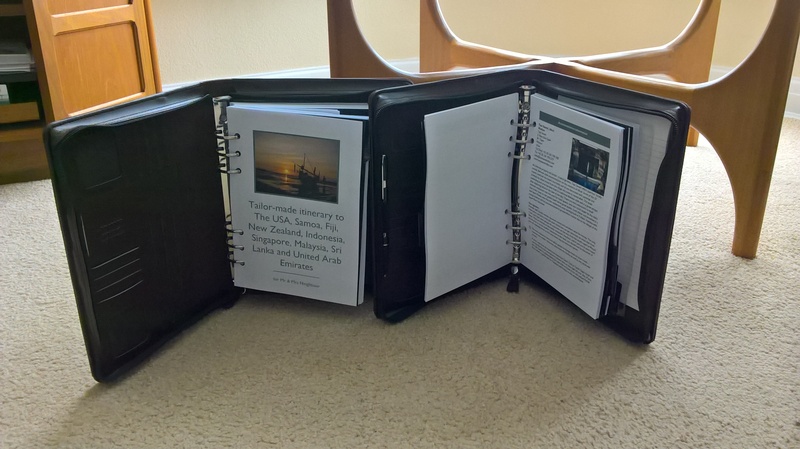 It is all held in two Filofax folders and looks very professional. So now its the time to start checking we have everything we need before the mass panic (or as Kim says, the orderly departure) next week.